Happy Women’s History Month! Throughout this country’s history, the law hasn’t been consistently fair across gender lines, classifying women as second-class citizens and making assumptions about people based on gender stereotypes. But throughout that same history, women have harnessed the law to right these wrongs, changing the national conversation around issues as varied as medical privacy, marriage, caring for family members, and sexual harassment. Let’s meet some of these trailblazers now! Estelle Griswold, left, and Cornelia Jahncke, of Planned Parenthood League of Connecticut, celebrate their Supreme Court victory. The birth control pill came onto the market in 1960, but in Connecticut, contraception was outright banned by a law that predated the birth of the Pill by more than 80 years, imposing fines and jail time on people using any type of contraceptive device. Additionally, anyone “aiding and abetting” would-be birth-control users — including doctors and pharmacists — could be punished. In 1961, in an act of civil disobedience, Estelle Griswold, the executive director of the Planned Parenthood League of Connecticut, opened a birth control clinic — and was promptly arrested, prosecuted, and fined $100. Griswold immediately challenged the constitutionality of Connecticut’s anti-contraception law, but it was upheld in state courts. In 1965, however, the Supreme Court ruled that married couples had a constitutional right to make private decisions about contraception. Griswold v. Connecticut was a landmark case in contraception access — but it was only a first step. In restricting its ruling to married couples, the Supreme Court perpetuated the idea that birth control was only appropriate within the confines of marriage. It wasn’t until 1972 that the Supreme Court ruled that unmarried people, too, had a right to birth control. 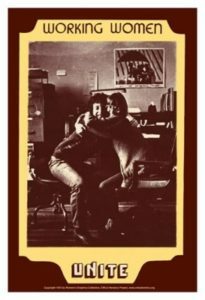 Richard Loving was white and Mildred Jeter was black. 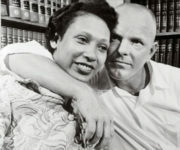 In 1958, the couple obtained a marriage certificate in Washington D.C., and were jailed for violating Virginia code 20-54, which prohibited marriages between “white and colored persons,” and code 20-58, which prohibited couples from marrying out of state and returning to Virginia to reside as husband and wife.